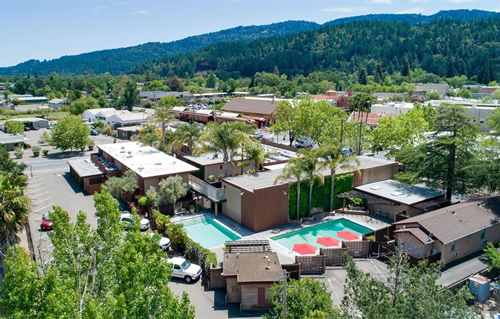 Hotel investment company Chartres Lodging Group has acquired Dr. Wilkinson’s Hot Springs Resort, a 42-room lodging and wellness establishment in Calistoga, in NoCal’s Napa Valley. The price was not disclosed. The property is located at 1507 Lincoln Ave and features a bath house, providing a comprehensive spa services menu, including a signature mud bath experience as well as natural hot mineral springs pools. The resort boasts views of the majestic Mount Saint Helena and stands adjacent to the numerous restaurants, shops, wine-tasting facilities and galleries in the idyllic downtown area. Henry Bose Jr. and Mark McDermott with CBRE represented the seller, Wilkinson Family LLC, in the transaction. The resort will be managed by Kokua Hospitality, based in San Francisco. Napa Valley is one of the world’s premier travel destinations. The area is centered on one of the globe’s foremost wine regions, with more than 450 wineries – accounting for approximately 35% of California’s wineries. Together with the neighboring Sonoma Valley, over 50% of the state’s wineries operate in this greater area. As such, the combined region is commonly referred to as “Wine Country”. The area is less than one hour north of San Francisco and 90 minutes from Sacramento and Silicon Valley.